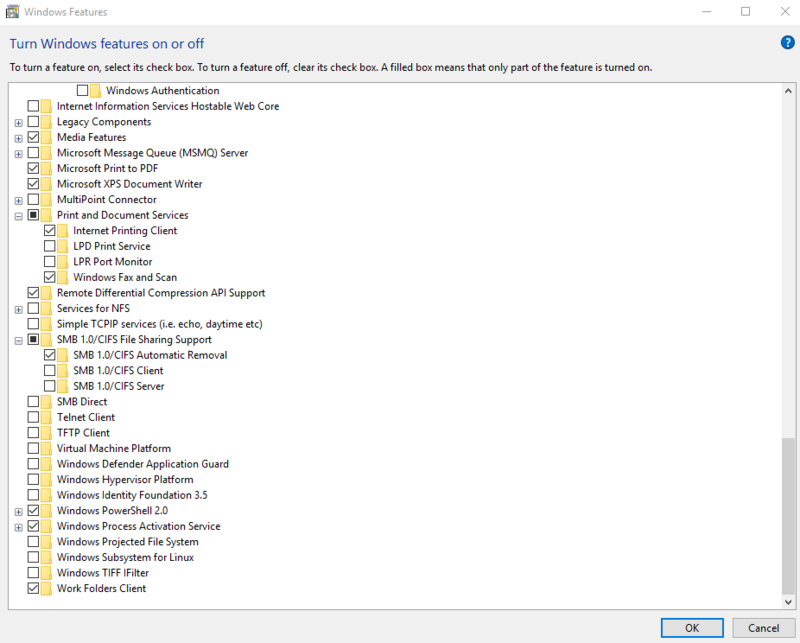 The image below demonstrates what roles and features must be enabled for the Web version to run properly on Windows Server 2016. 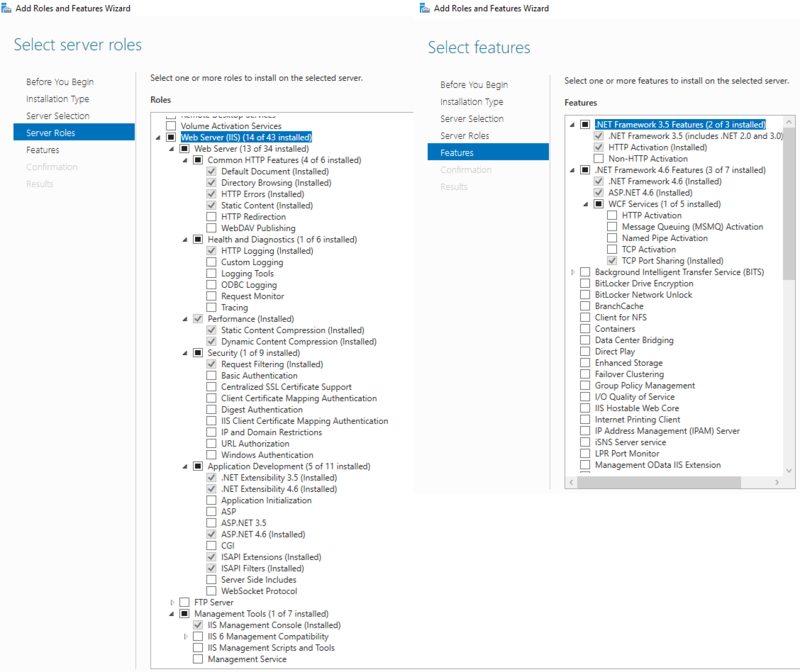 All of those roles and features are automatically installed and activated during deployment of the Web version. 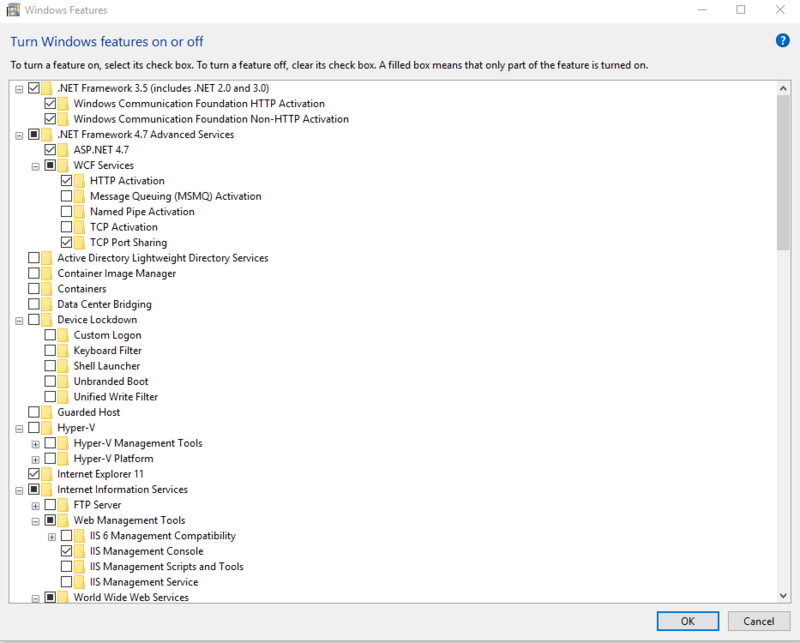 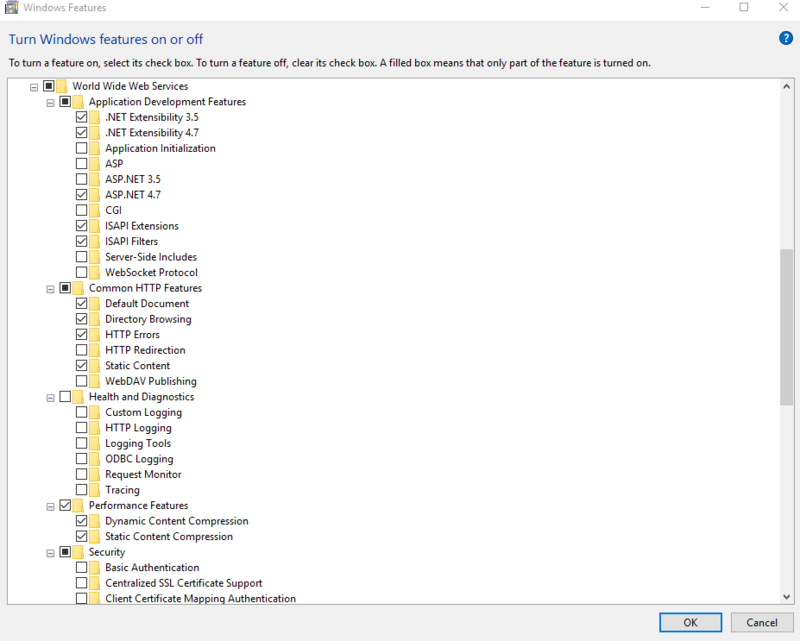 The image below demonstrates what roles and features must be enabled for the Web version to run properly on Windows 10 Professional.